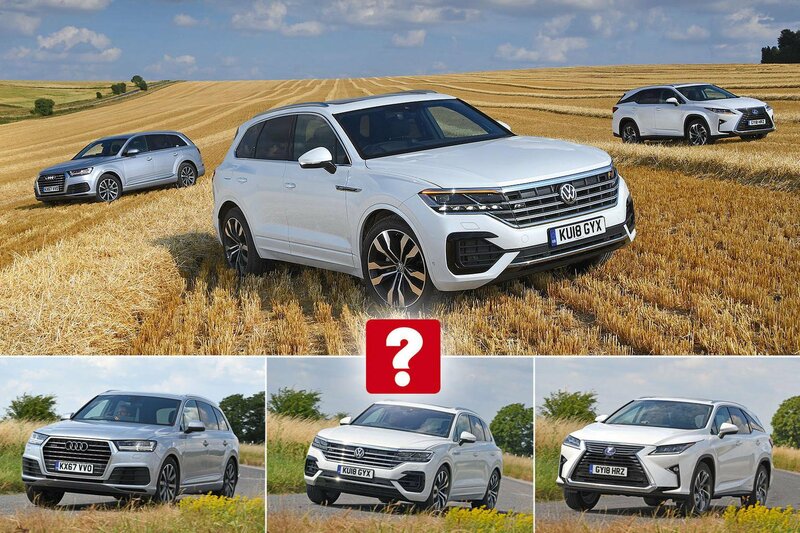 New Lexus RX L & Volkswagen Touareg vs Audi Q7 | What Car? Our Luxury SUV of the Year is a great all-rounder: spacious, comfortable and classy. The RX is now available with a longer tail to give two extra seats and a bigger boot. The Touareg enters its third generation packed full of tech, but there’s no seven-seat option. What’s the perfect car? Before you start shouting out the names of two-seat supercars, giant extended-wheelbase luxury limos or 4x4s that could cross the Arctic with consummate ease, we’ll expand on that question. Let’s boil it down to the perfect single-car garage. That means it needs to be a jack of all trades without being a master of none. It needs to be spacious enough to cope with friends, family and flatpack furniture, as well as quick and capable in corners, comfortable for the everyday grind, not too expensive to run and capable of coping with whatever the weather can throw at it. Sounds like too much to ask, right? Well, actually, you could argue that such a car already exists: the Audi Q7. 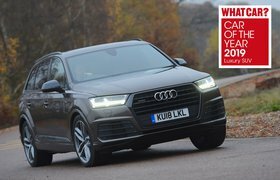 With a wonderfully wafty ride, tidy handling, bags of space and surprisingly good fuel economy, it’s been our favourite luxury SUV since its launch three years ago. But when you’re at the top, there’s always someone or something wanting to take you down. In this case, the threat has two prongs. First up is the Lexus RX 450h, now available with an ‘L’ in its name. This means it has had its tail stretched to give a bigger boot and a couple of extra seats. There’s also the all-new Volkswagen Touareg for the Q7 to contend with. Although it’s the only five-seater here, it fights back with lots of clever technology under its sharp-suited skin. Although our three contenders all have V6 engines, automatic gearboxes and four-wheel drive, there are some notable differences. While the Q7 and Touareg are equipped with 3.0-litre diesel engines, the RX is a petrol-electric hybrid. In addition, the RX’s 3.5-litre petrol V6 is paired with a continuously variable transmission (CVT) rather than a conventional auto like the other two, so it has no fixed gears. Meanwhile, a pair of electric motors boosts power from 258bhp to 309bhp and allows for a limited amount of electric-only running. The RX may be the most powerful, but it’s also heavier than its rivals, due to the batteries needed for the hybrid system. With a 0-60mph time of 7.6sec, it’s no slouch, but the Q7 and Touareg are well over a second quicker. Things are closer on the move, although the RX is still the slowest. Not helping matters is the RX’s CVT ’box. Press the accelerator and the revs flare and stay high until you’re up to the speed at which you want to cruise. Even a moderate incline will have the engine howling like a wolf that’s stubbed its paw. With no gears as such, it builds speed very smoothly, though. Only when it switches from petrol to electric mode do you feel a little hesitation. The Touareg and Q7 swap cogs pretty smoothly, too. Crucially, though, their engines don’t scream for mercy every time you accelerate. That said, while the Touareg is hushed, the Q7’s engine is even smoother and quieter. The Touareg is also behind the Q7 in terms of responsiveness; it has a long think before letting you pull onto a roundabout, for example, whereas the Q7 is far snappier to react. The Touareg is also somewhat hesitant to kick down for maximum acceleration on the move, making overtaking more fraught than it needs to be. Even so, the Touareg should make an impressive tow car, being capable of pulling a braked trailer weighing up to 3500kg. The Q7 can match this figure, but only when fitted with air suspension (£2000) – an option we’d definitely add. As for the RX, while the five-seater can pull 2000kg, the seven-seater can’t tow a thing, due to its weight. Lexus says adding towing capability would have exceeded the limits of the powertrain. Most buyers will want a pillowy ride from their luxury SUV – something the Q7 really excels at with air suspension fitted. Even on big, 20in wheels, it wafts along in a manner that puts many luxury limos to shame. Although some might find that there’s a little too much fl oat over undulations in Comfort mode, you can flick the suspension to Dynamic to make the car feel better tied down. The RX isn’t in the same league for comfort, even with the standard adaptive suspension in its softest setting, although it’s far from a bone-shaker and actually rides quite smoothly at higher speeds. 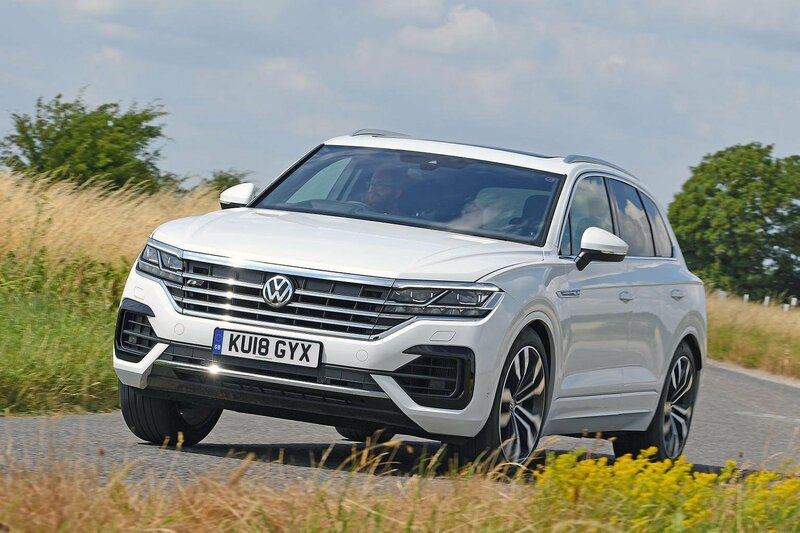 We’ve tested the Touareg R-Line with both its standard sports suspension and optional air suspension (£2370); the latter also adds rear-wheel steering. Put simply, air suspension is a must-have, because in standard form the Touareg thumps over potholes and jostles you from side to side over bumps that the Q7 smothers with ease. With air suspension, the low-speed ride is still a little more fractious than the Q7’s, but it just edges the RX for overall comfort, even on 21in wheels (£750). Those optional wheels might explain why the Touareg kicks up the most road roar and is noisiest overall at both 30 and 70mph. It’s still far from a rowdy companion, though. 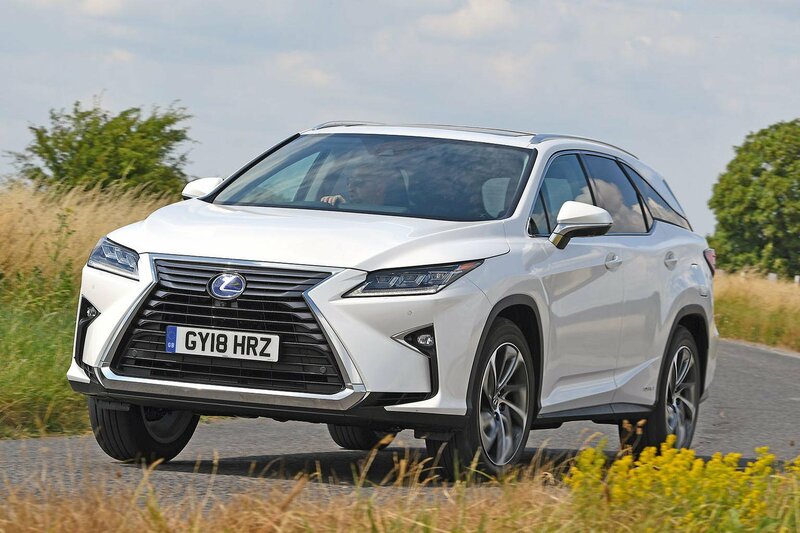 The RX, which can run in electric-only mode at times (at speeds up to 40mph), is the quietest at 30mph, while the Q7 is the most peaceful at 70mph, with just the merest fl utter of wind noise around its door mirrors. Although the way these cars handle won’t be a priority for most buyers, those looking for the greatest agility are best served by the Touareg. Its optional rear-wheel steering helps low-speed manoeuvrability, while grip levels are high and it resists body roll the best. 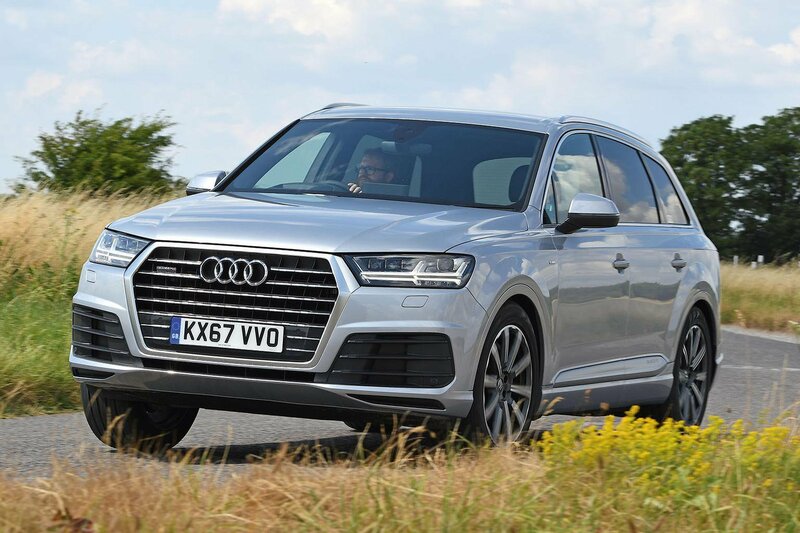 The Q7’s extra length means it isn’t quite as deft in corners, but it can still be hustled along at a surprising rate and is predictable when pushed. The RX has the least grip and feels the least stable and composed when driven briskly on a winding road. All feel secure in an emergency stop, although the Touareg pulled up in the shortest distance in our tests and the RX the longest, separated by 4.5m.